The High Power / Industrial operating temperature USB 802.11b/g/n, part number EW-WUBA-171GN, is an USB 2.0, 5-Pin Pin-Header, 2.54mm pitch module. The EW-WUBA-171GN is designed for streamlined integration into the latest Wi-Fi enabled devices. 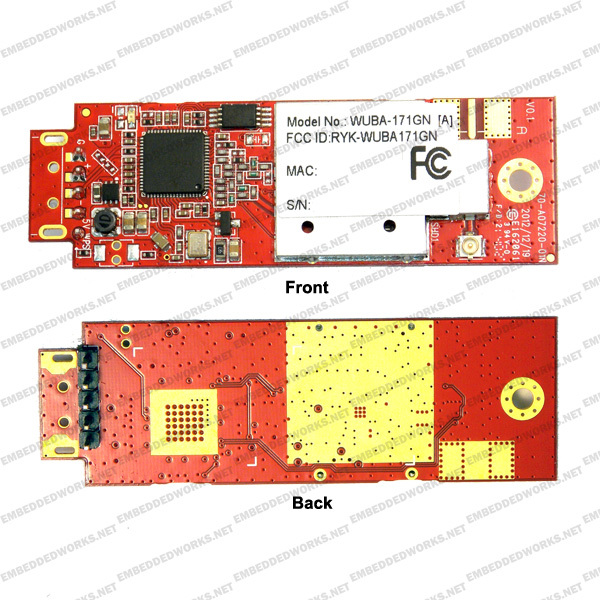 The EW-WUBA-171GN is ready for immediate implementation into USB applications. 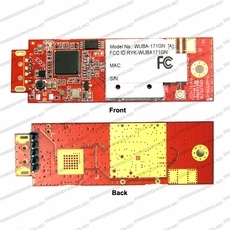 The EW-WUBA-171GN is a superior USB module that exceeds both IEEE 802.11b/g/n and FCC regulatory requirements. The AR9271 chipset gives the EW-WUBA-171GN exceptional flexibility and performance by offloading the wireless processing overhead from the host appliance into its own CPU and memory. This new architecture enables the EW-WUBA-171GN to offer wireless functionality to legacy and other devices that would otherwise be unable to use this type of connectivity.